ATTENTION: Want a business that'll last for many years to comes? 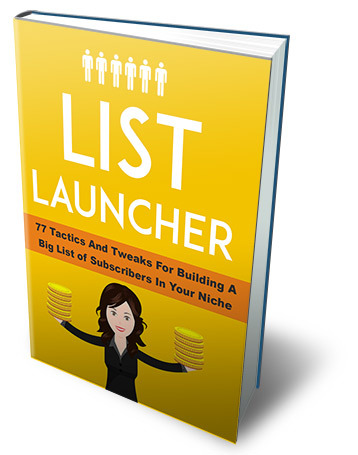 "Discover 77 Top List Building Tactics To Build A Profitable List In Your Niche..."
Whether you're a consultant, online marketer or own a small boutique business, a subscriber list is crucial to the growth and success of your business. It is said that a subscriber is worth about a dollar a month in revenue. If you had 1000 subscribers, that's $1000 a month. You guess it! $10,000 a month. Knowing what you know now, how much of a priority would you make list building now? Or perhaps you already have a list of subscribers but have plateaued and you just can't hit that next stage. So Where Do You Even Start And How Can You Grow Your List of Subscribers? Getting started and growing your list isn't easy. There's a big difference between 1000 subscribers and 10,000 subscribers, but if you only have 1000 subscribers, how do you get to the next stage and reach 10,000 subscribers? Luckily, I've put together something special for you that's going to explode your list! 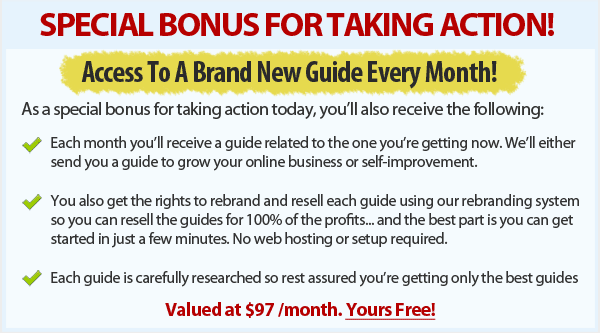 These tactics are based on proven methods that I've used and so many other successful business have used to sky-rocket their opt-ins and list! You can own List Launcher today for a mere $7.00.